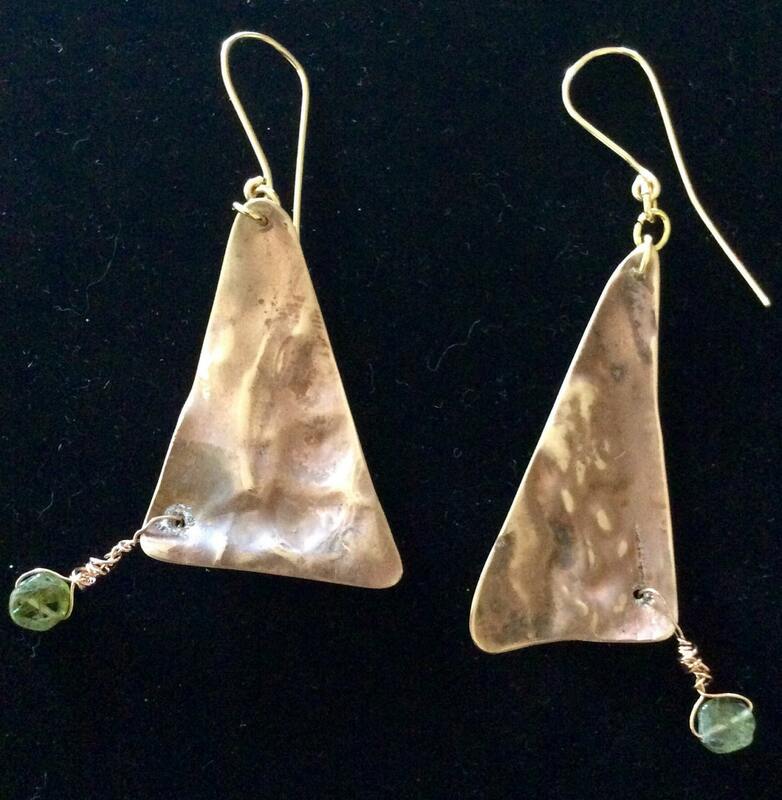 Here is a pair of hammered bronze earrings; created with a bohemian, organic flair! 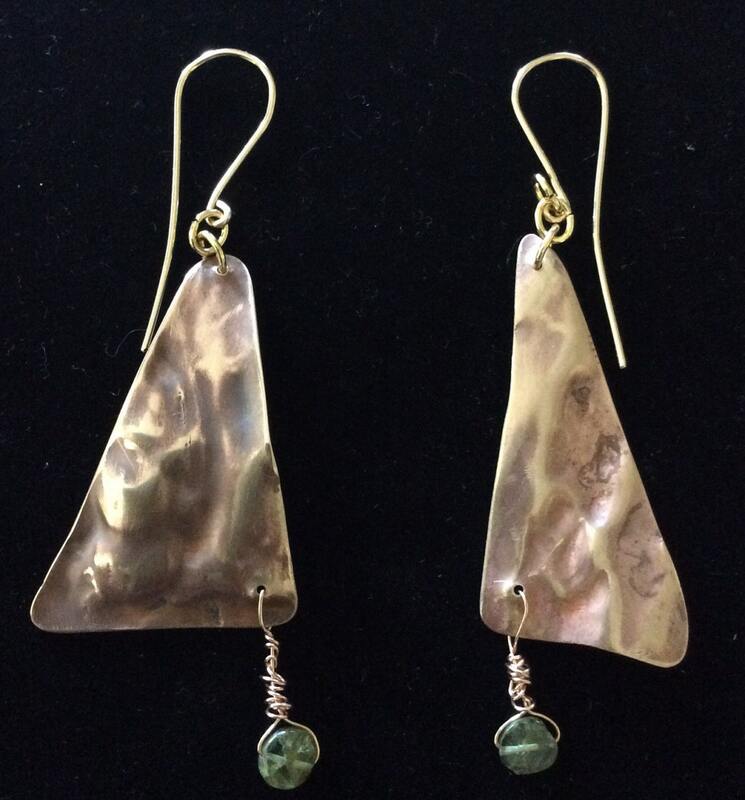 From bronze sheet metal, I cut matching organic shapes. 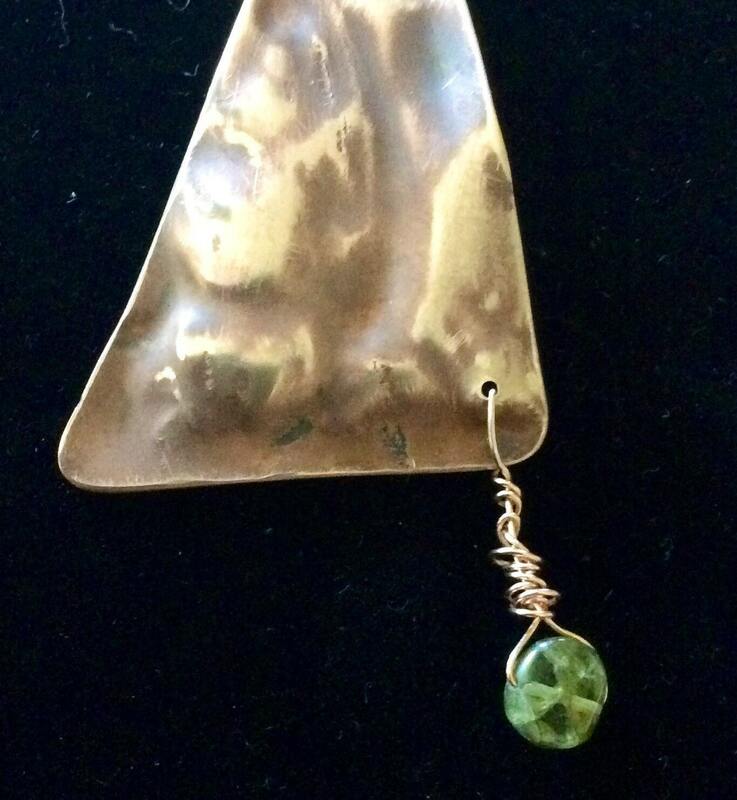 Holes for ear wires and the dangling peridot were drilled, then the metal pieces were carefully and painstakingly filed and polished, both by hand. These steps could be relegated to machine polishing, but it's this step where I feel my personality and artistry is imbued into each piece I make. 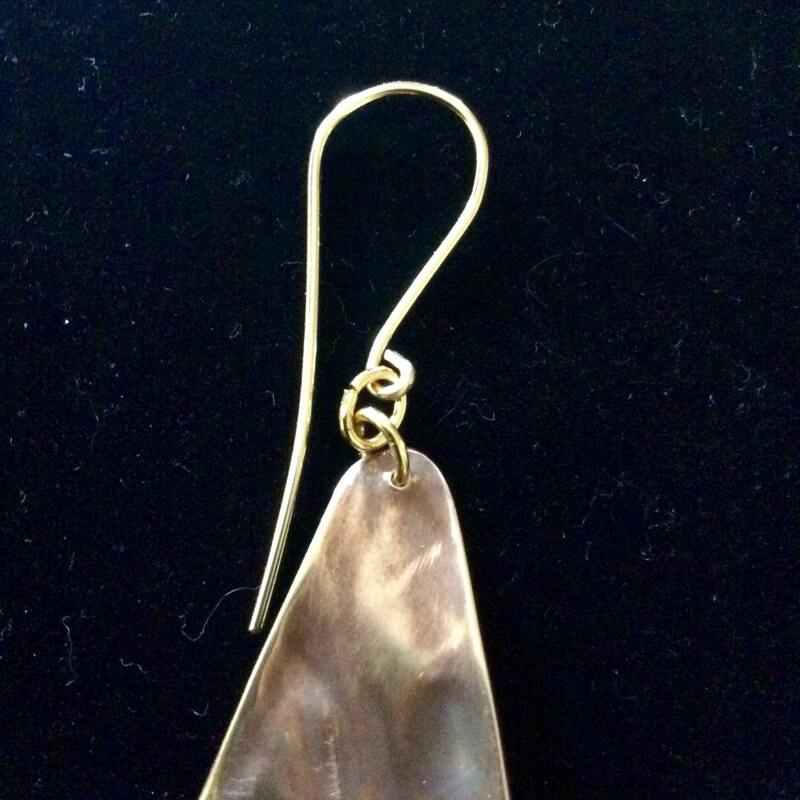 I am able to "listen" to the metals I work with, and then there is a certain give and take as it tells me what it wants to do and I tell it where I'd prefer that it go! 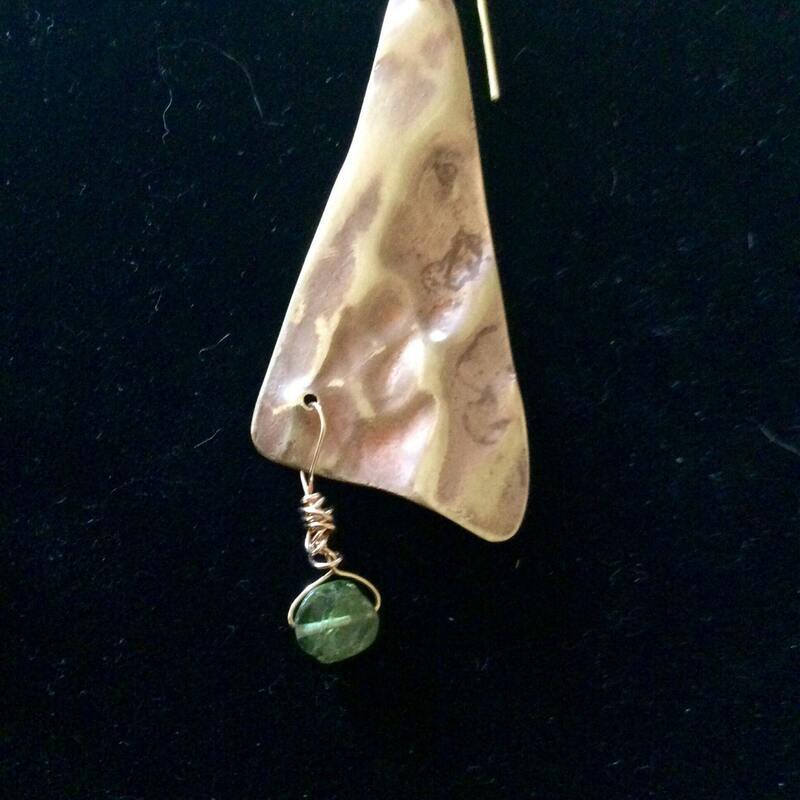 And these earrings are the final result! Shipping is free and your purchases arrived gift boxed for giving or yourself. If you prefer your items are sent to another address, let me know. I'd also be happy to enclosed a personalized gift card. In two weeks, please leave a review when Etsy sends you a message. After two weeks, you can also find where to leave a comment by going to your Etsy profile and clicking on Purchases and Reviews. All reviews receive a 10% discount on your next purchase! Thanks for visiting and supporting Small Businesses!